A deeply nourishing, age-defying moisturizer to intensely hydrate and help minimise visible signs of ageing. Antioxidants Green Tea and Sea Amber help smooth and firm, while nourishing Camellia and Macadamia Oil rehydrate to leave skin feeling soft and revitalised. Further ‘lock in’ the benefits by applying Optimal Skin ProDefence SPF 15 over Regenerating Moisture Complex for your final protective layer. Suitable for maturing or stressed skin types. Water (Aqua), Macadamia Ternifolia Seed Oil, Prunus Amygdalus Dulcis (Sweet Almond) Oil, Camellia Kissi Seed Oil, Glycerin, Cetearyl Alcohol, Glyceryl Stearate, Polyglyceryl-3 Stearate, Sodium Stearoyl Lactylate, Citrus Reticulata (Tangerine) Peel Oil, Limonene, Mangifera Indica (Mango) Seed Butter, Lavandula Angustifolia (Lavender) Oil, Salix Nigra (Willow) Bark Extract, Linalool, Xanthan Gum, Citrus Aurantium Amara (Bitter Orange) Peel Oil, Helianthus Annuus (Sunflower) Seed Oil, Sorbic Acid, Levulinic Acid, P-Anisic Acid, Pelargonium Graveolens Flower Oil, Citrus Aurantium Amara (Bitter Orange) Flower Oil, Sodium Hydroxide, Phytic Acid, Santalum Austrocaledonicum Wood Oil, Sodium Levulinate, Citrus Aurantium Dulcis (Orange) Fruit Extract, Maltodextrin, Tocopherol, Geraniol, Citronellol, Camellia Sinensis Leaf Extract, Pelvetia Canaliculata Extract, Citral, Beta-Carotene, Daucus Carota Sativa (Carrot) Root Extract, Daucus Carota Sativa (Carrot) Seed Oil, Phenoxyethanol, Farnesol, Ascorbyl Palmitate. Express Delivery - if ordered before 9pm, delivered by courier next working day. Enjoy complimentary tracked delivery on all US orders. This moisturiser is amazing. It leaves your face lovely and soft and the smell is wonderful, calming and makes you feel good. It is so rich and nourishing and makes my skin feel very full and moisturised. This cream offers me a luxurious feel. I really love this product as I can feel it regenerating my skin as I put it on my face. My facial skin used to be dull and sagging but once I started to use this moisture complex I am amazed at the results. At first I thought the cream was a bit too heavy and I wasn't too keen on the smell but I got used to the smell now and love the way my skin feels after a month's usage. After turning 50, I no longer felt my previous skin care was going to cut it and I'm so glad I found this nourishing cream to make my skin feel supple and soft. A small amount of it goes a long way! I have used this as my night cream for many years. My skin is soft and supple. Amazing product. Especially in combination with the oil. 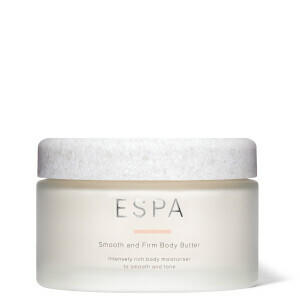 I have been using Espa for years and bought this product after an espa facial as I was so delighted with it. Initially ok, but after a week or so I found it was irritating my skin. Withdrew from using the product and tried again a month later but no success. My skin fares red and stings when I use it. I have sought advice from espa who suggested a dermatologist visi. As I purchased this at the spa whilst on holiday they have stated they cannot exchange the product. I am very disappointed with this level of service. I’ve been using this moisturiser for many years. I think the recipe has changed recently. The colour is paler and the cream not as rich. Also I don’t like your new lids. They are sort of old looking. Don’t feel so good from a tactile perspective. Helps with both plumping up the skin and making my face feel fresh.